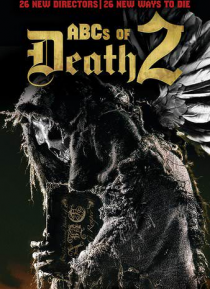 ABCs OF DEATH 2 is the follow-up to the most ambitious anthology film ever conceived. It features segments directed by over two dozen of the world's leading talents in contemporary genre film. The motion picture is comprised of twenty-six individual chapters, each helmed by a different director assigned a letter of the alphabet. Provocative, shocking, and at times funny, ABCs OF DEATH 2 is another… global celebration of next generation genre filmmaking.